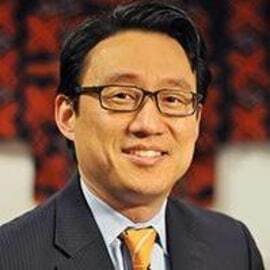 Wellington Pak is an expert in integrating strategy into operations across multiple sectors, whether nonprofit, government or commercial. He has helped organizations achieve revenue growth, profit expansion, and sustainable competitive advantage. He possesses leadership experience in corporate strategy, management consulting and growth-driven functions, including strategic business intelligence, innovation, marketing and business development. Prior to joining FHI 360, he was Senior Director of Corporate Strategy at ICF International, where he led corporate strategic planning and partnered with leaders to develop strategies across a portfolio including international development, global energy, health care and government work. While at Booz Allen Hamilton, Pak was a leader in the international development practice, and established a competitive strategy group that supported corporate planning. He also served as a Principal in CSC’s strategy group. Pak began his career as a management consultant at Andersen Consulting (now Accenture). Pak has an undergraduate degree in history from Columbia University and a master’s degree in public policy from Harvard University. He has taught strategy, management and marketing as an adjunct faculty member of the George Mason University School of Business.